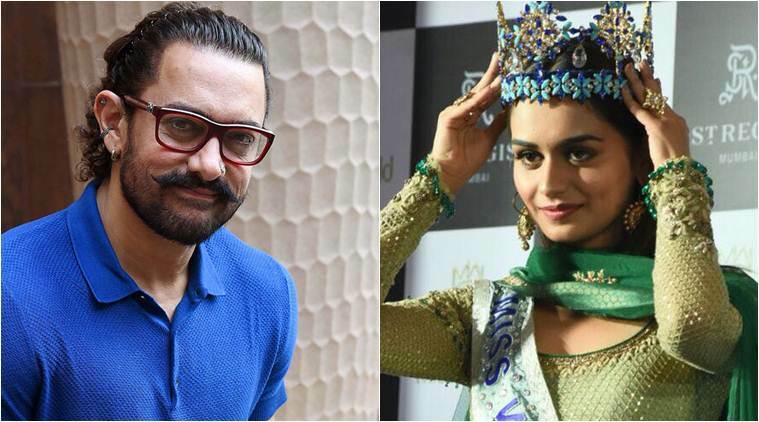 Miss World Manushi wishes to work with Aamir Khan! After returning India amid much fanfare and aplomb, Manushi Chillar held her first press conference and during the interaction session, the gorgeous beauty revealed about her Bollywood favourites, reports Zeenews. The 'beauty with brains' received a warm reception at the airport and later went to seek blessings of Lord Ganpati at the famous Siddhivinayak Temple. It took 17 years for India to win back the Miss World title, which was last bagged by Priyanka Chopra in 2000. Manushi was crowned Miss World 2017 on November 18, 2017, by outgoing titleholder Miss World 2016 Stephanie Del Valle from Puerto Rico. The young and gorgeous Manushi is the sixth Indian woman to win the crown.